211 S Main Marine City, MI. | MLS# 31364790 | Marine City and Algonac homes for sale,Westrick Real Estate One 810-765-8861, Marine City MI Homes,Real Estate Marine City MI,Homes for Sale Algonac,Algonac MI Agent, Home for sale St. Clair MI,St. Clair Homes for Sale,Property Marine City, Algonac Homes. 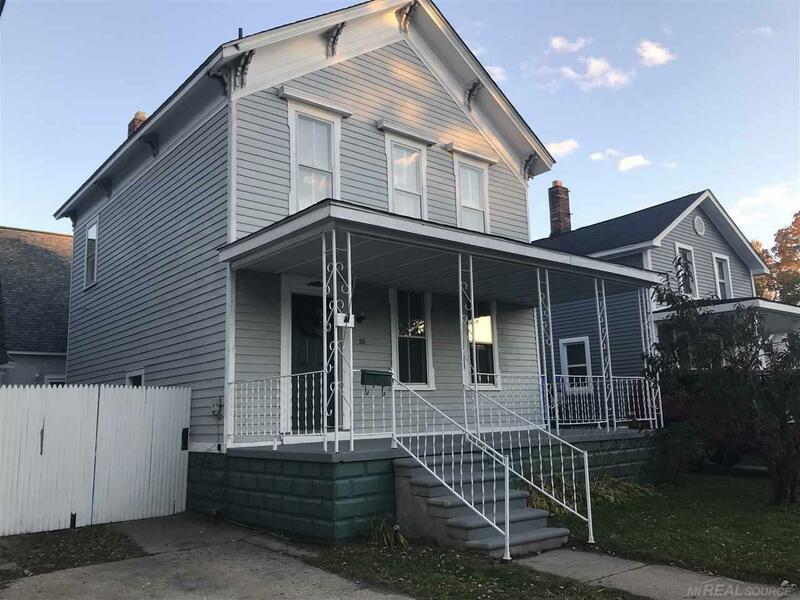 Marine City vintage home, 3 bedrooms, Large kitchen, Formal Dining Room and , Living room with hardwood floors, Full basement is painted and has the mechanicals which include a newer furnace and H2O. The spacious kitchen has an eating area, and a built in dishwasher, Wide Stairway is gorgeous and leads to 3 bedrooms one with a walk in attic that has 2 portable closets. and a nice size bathroom. This home is very well cared for and Boasts PRIDE OF OWNERSIP. The property is adjoining and includes 205 S Main, parcel ID 024750200000. which is a historic Church that has also been well maintained and well cared for. See MLS# 31364784 NOTE: Church and residence are being sold as one. possible land contract on the Church after the home is financed and closed. Must be sold as a package as the house basement affords access to a furnace under the kitchen. Accepted offer is contingent on inspection and appraisal.